Successful event promotion strategies that reach your community + engage your audience. Do you have an event that needs promoting? Design Persuasion knows how to get your event noticed. Set the tone and expectations for your event with compelling infographics and designs. 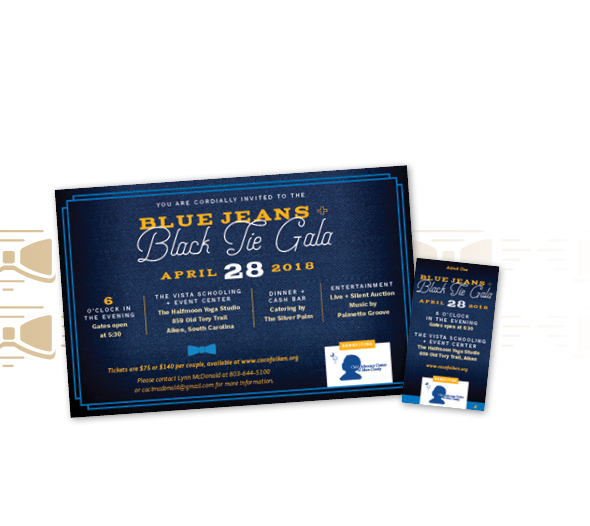 We like to get people excited before the event even happens with invitations, posters, tickets and more. 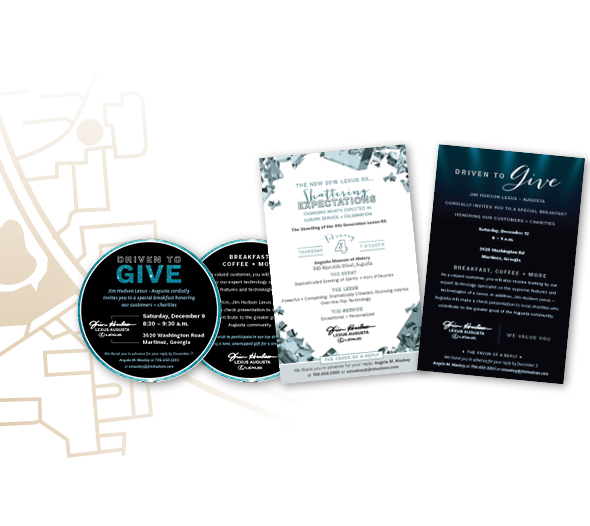 Creating visually alluring designs is one of the most effective ways to improve marketing for your event. Our event-specific websites are one of the most helpful tools we offer to put all of the information about the event in one place. These websites can help you plan and organize your event more effectively for everyone in your planning committee since the info you need is all in one area. Plus, an event-specific website boosts the visibility even more for your event. We understand that your event is unique and that different forms of promotion work better some events than others. That’s why we work with you to create the best strategy for your event. With our solutions-driven approach, you are sure to find the best promotion strategy for you. The Miller Theater chose Design Persuasion as their event material designer for their grand theater reopening. With our help, they sold out of tickets in 3 weeks! Augusta University used our services when planning an event for their donors. Invitations went into the mail on Friday afternoon. When they came in on Monday morning, they had replies from guests who planned to attend! Give us a call at 803-393-1368 or email hello@bepersuaded.com to discuss event promotion for your special occasion.